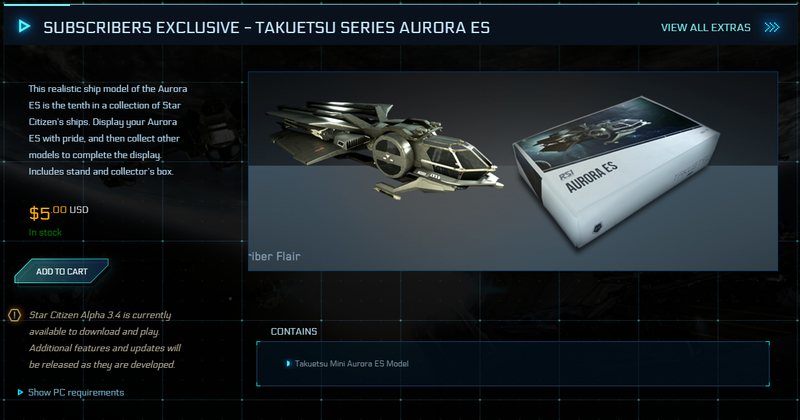 These are limited quantity sale items and are only available on a first come, first serve basis. 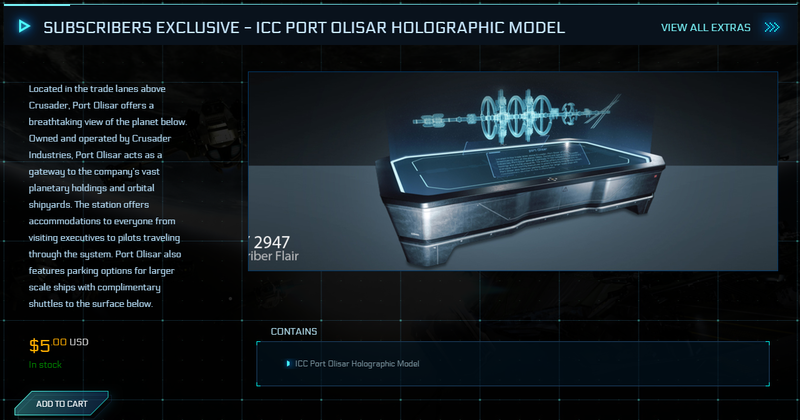 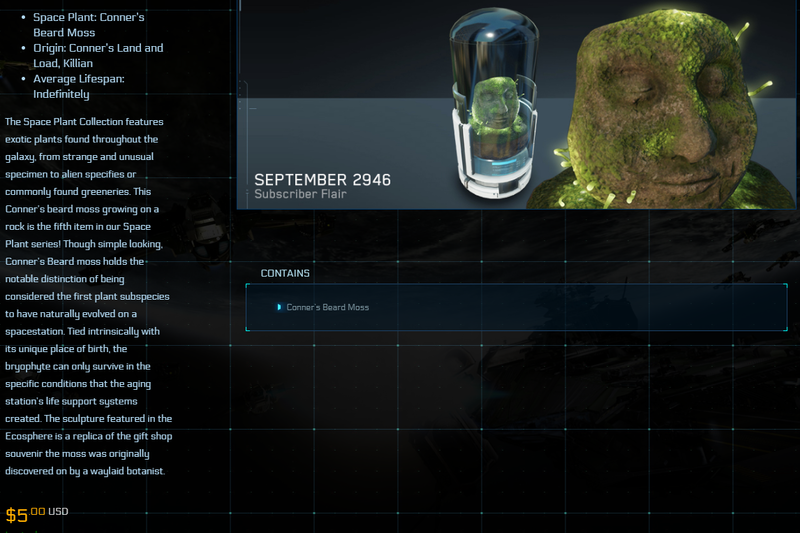 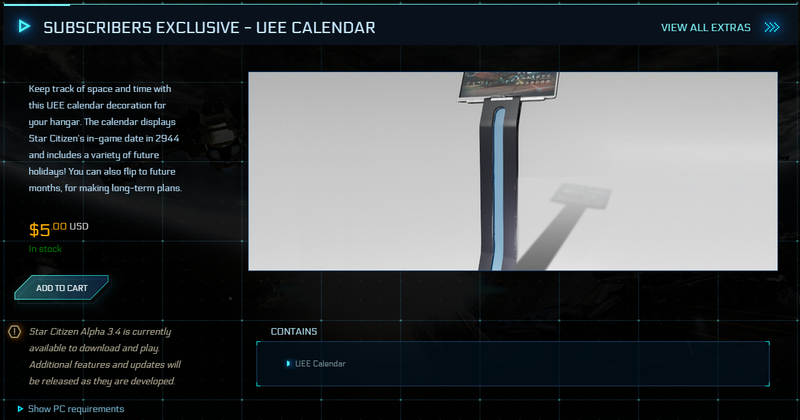 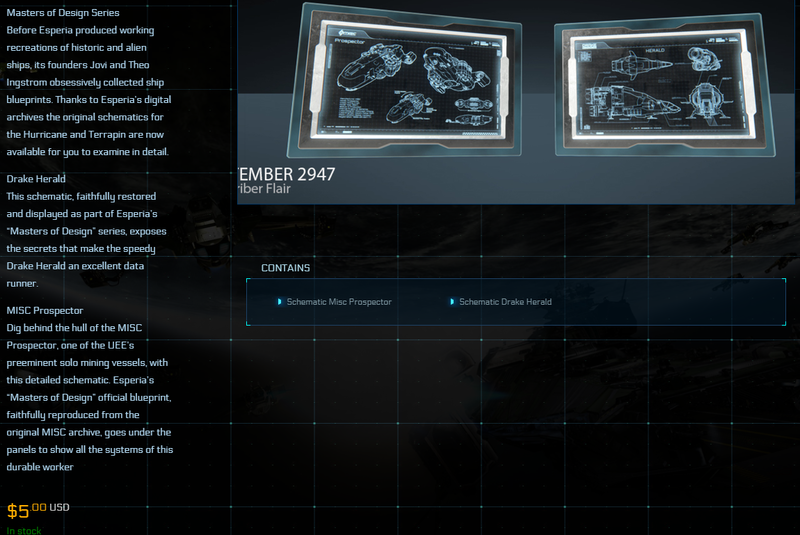 Today's CCU'd sale ships will be upgraded from a LTI Original Concept Ursa Rover Fortuna. 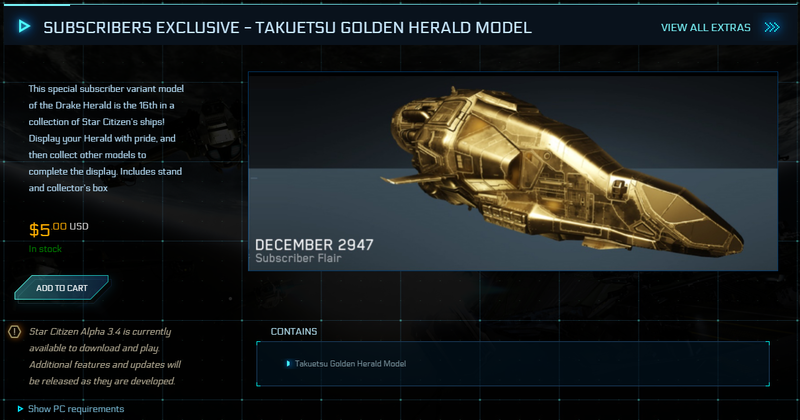 These ships were not upgraded from another ship. 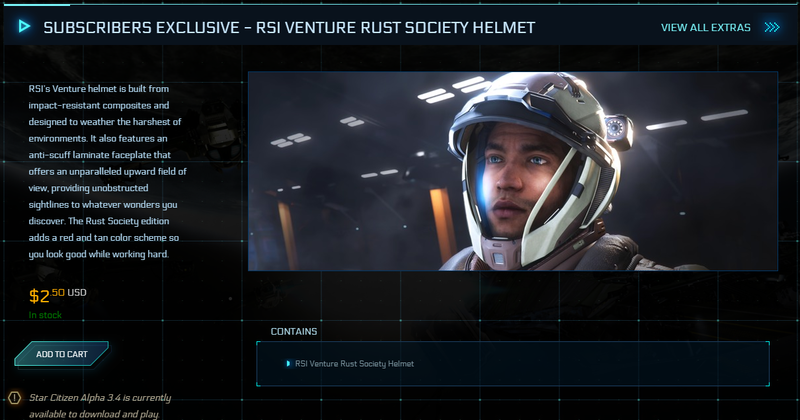 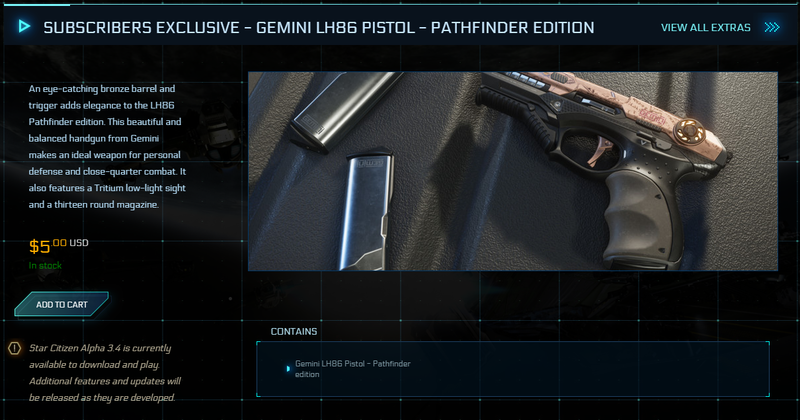 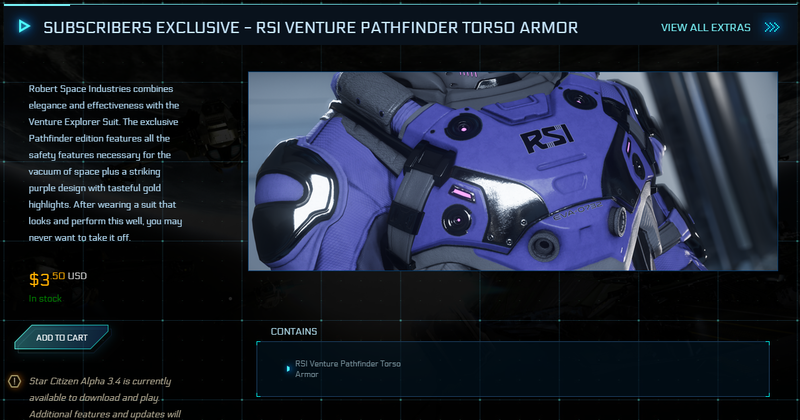 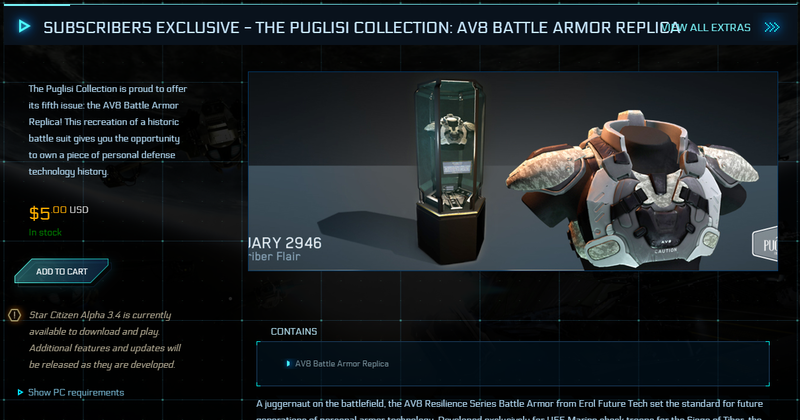 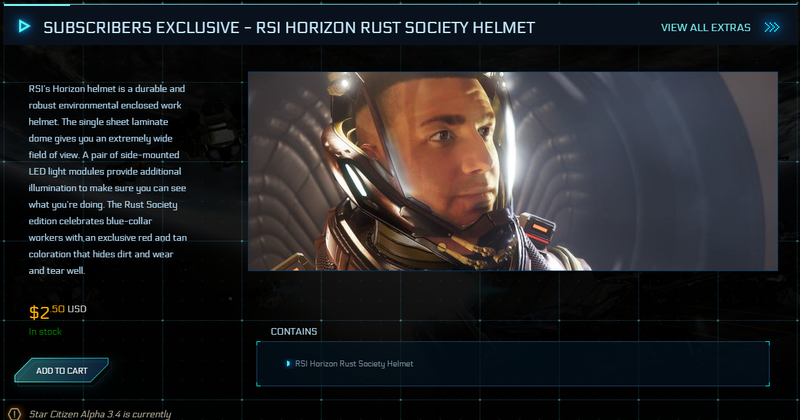 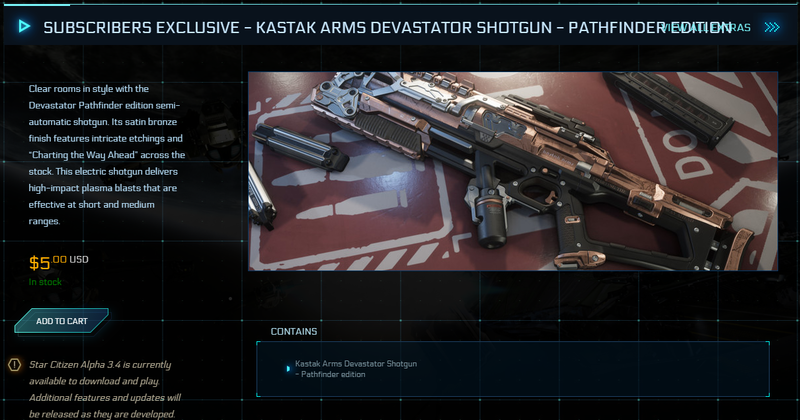 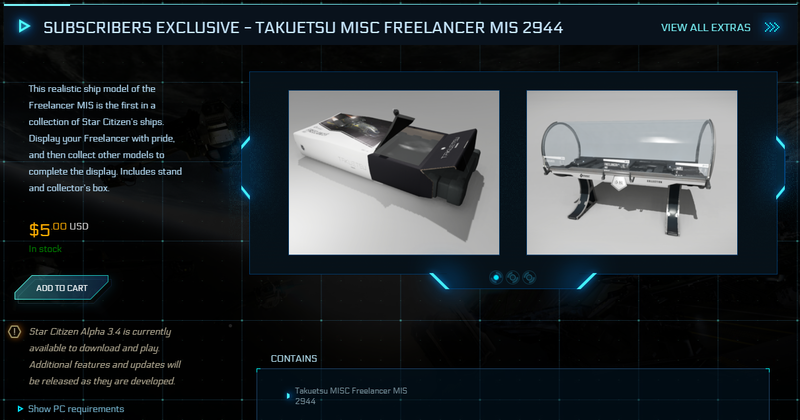 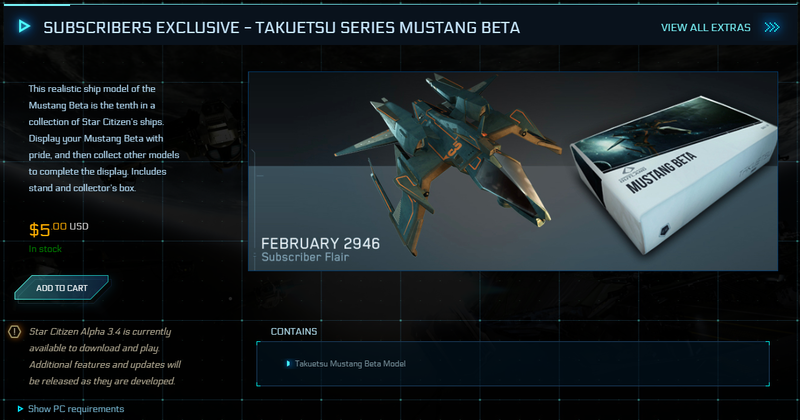 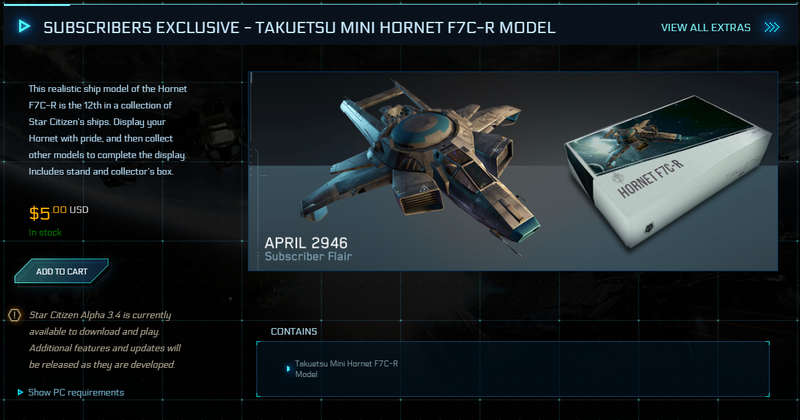 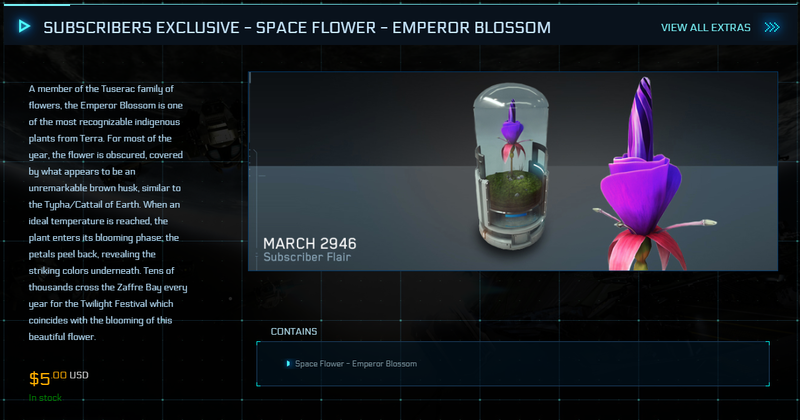 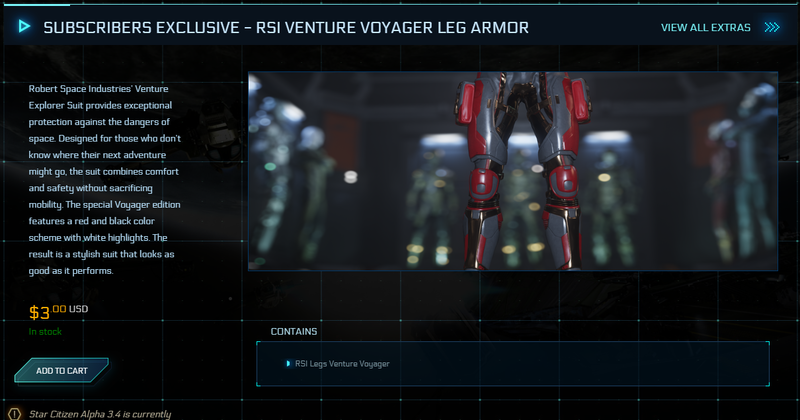 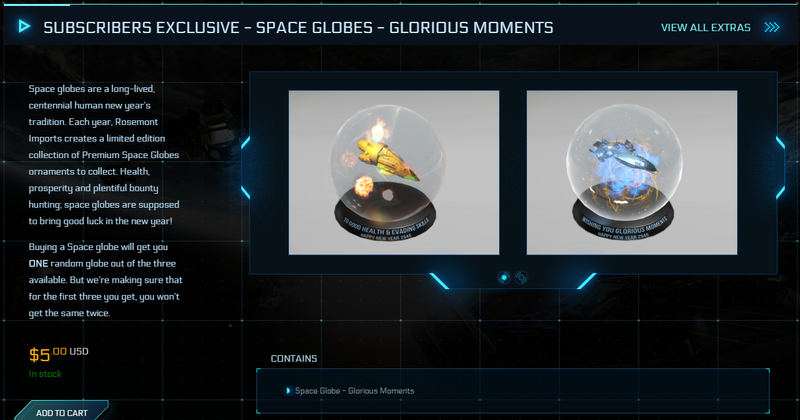 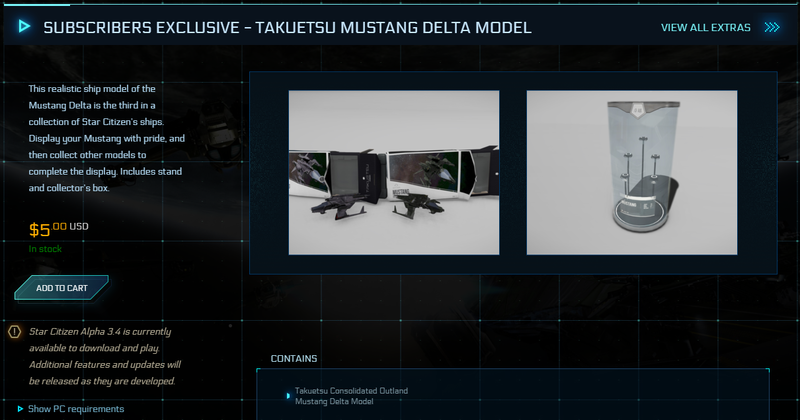 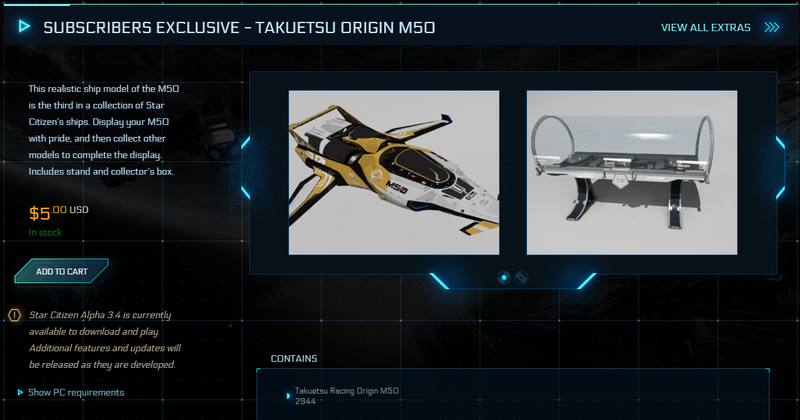 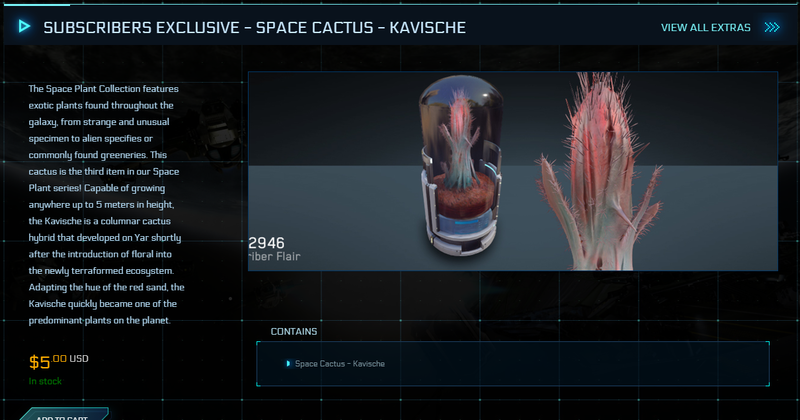 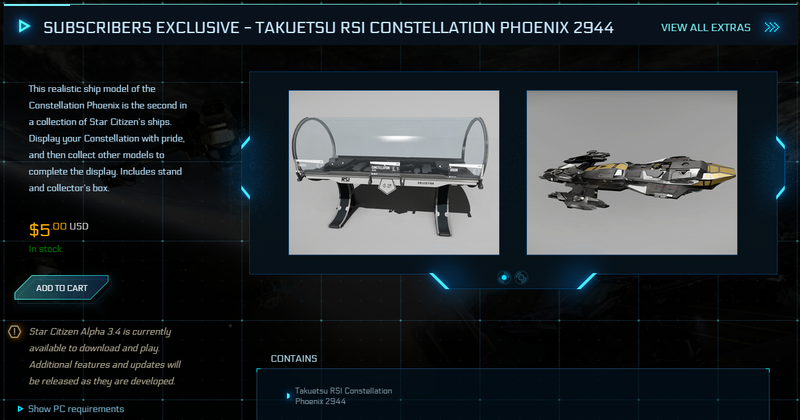 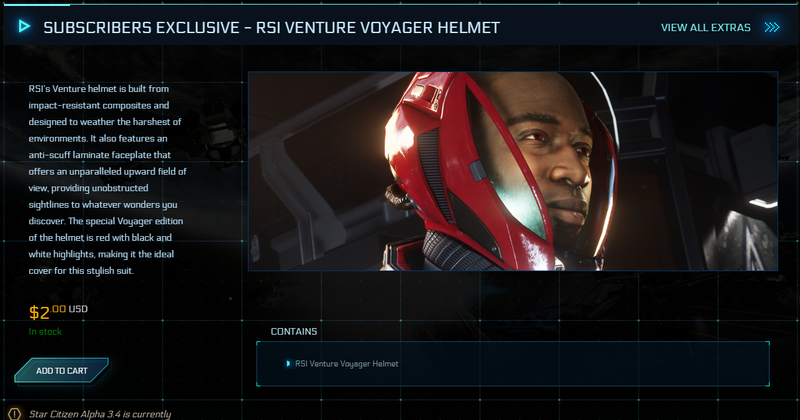 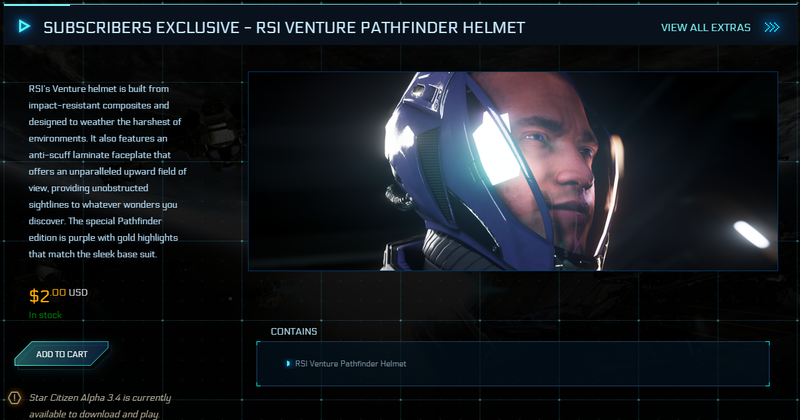 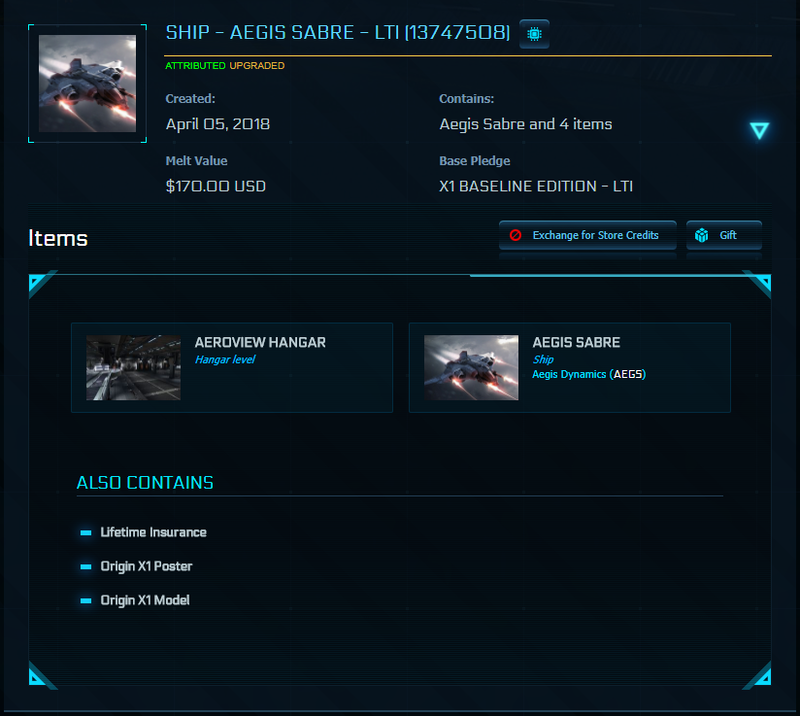 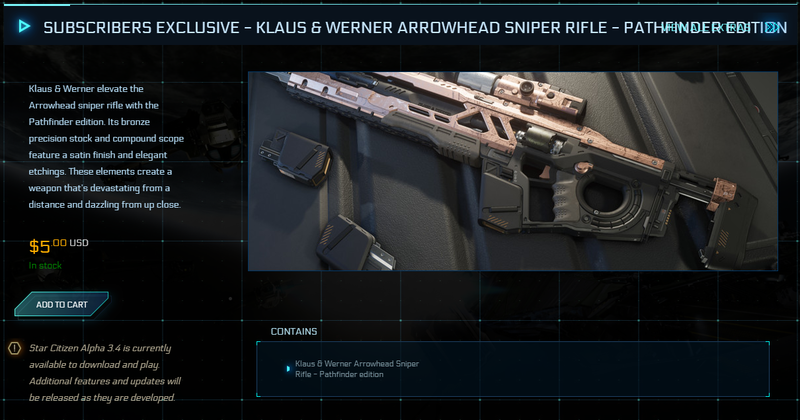 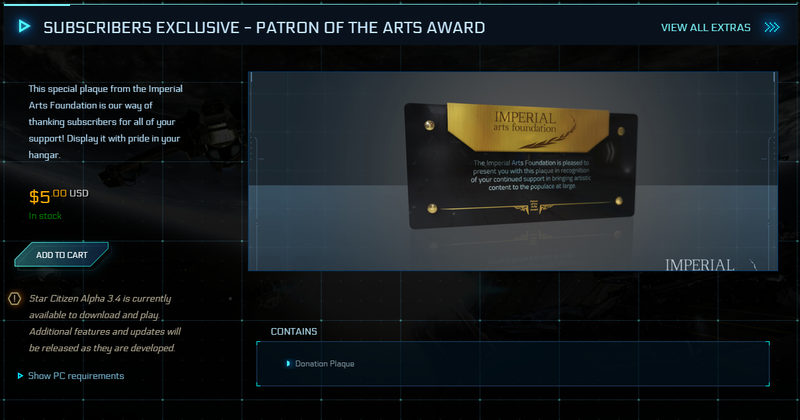 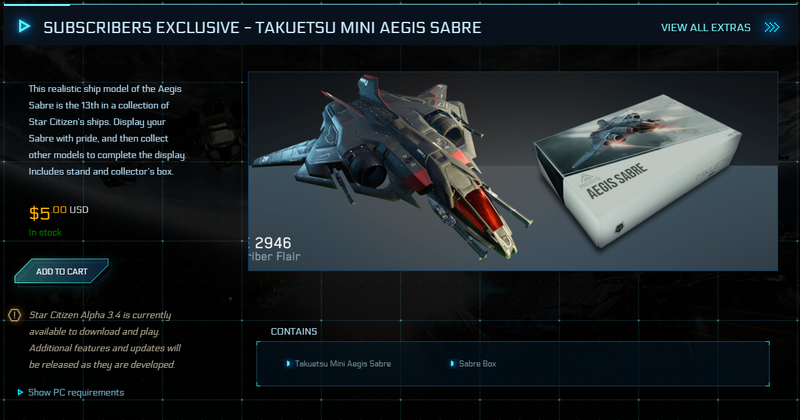 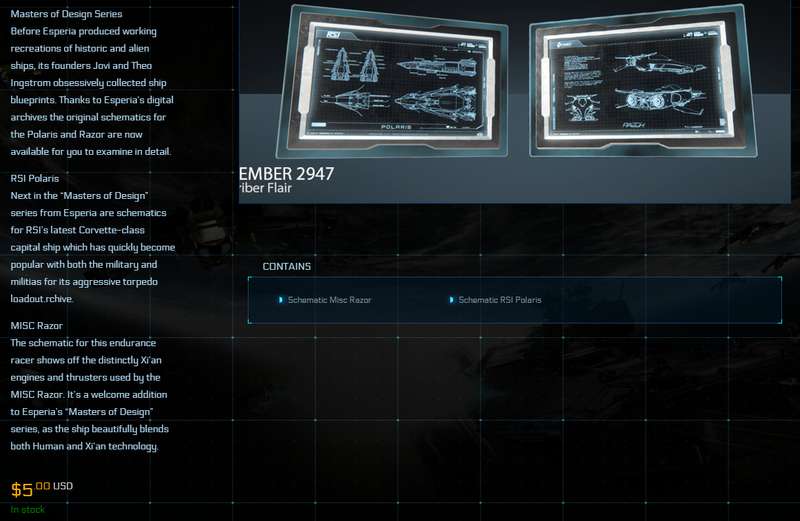 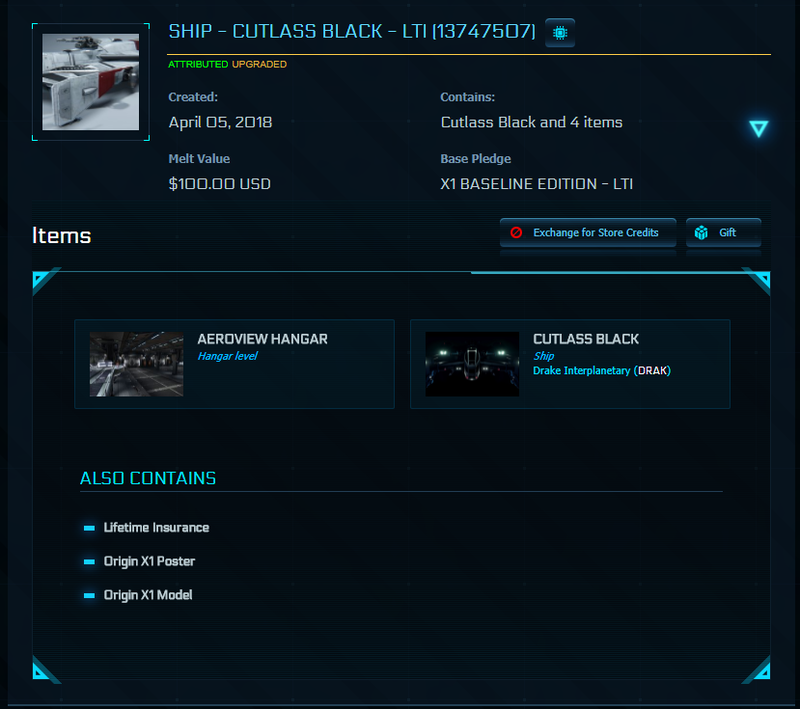 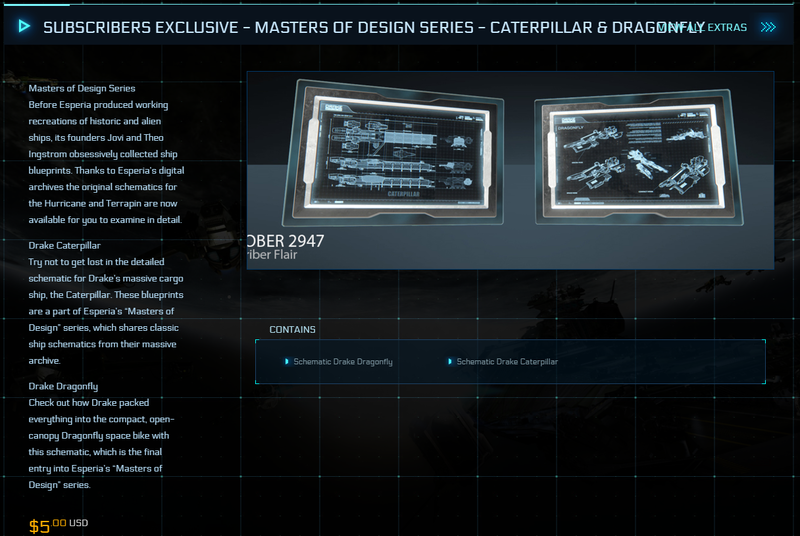 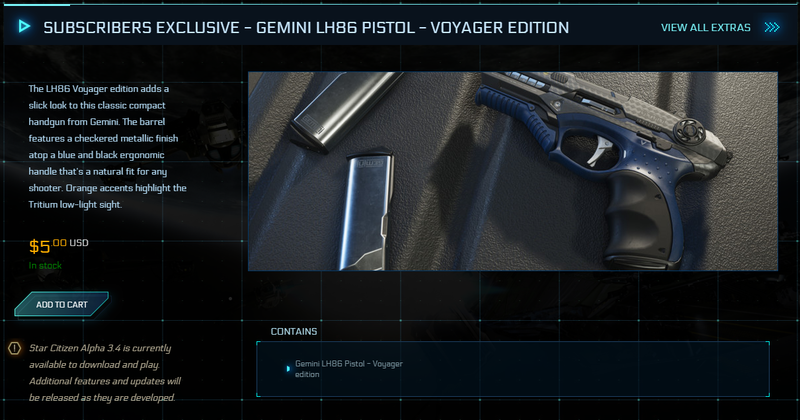 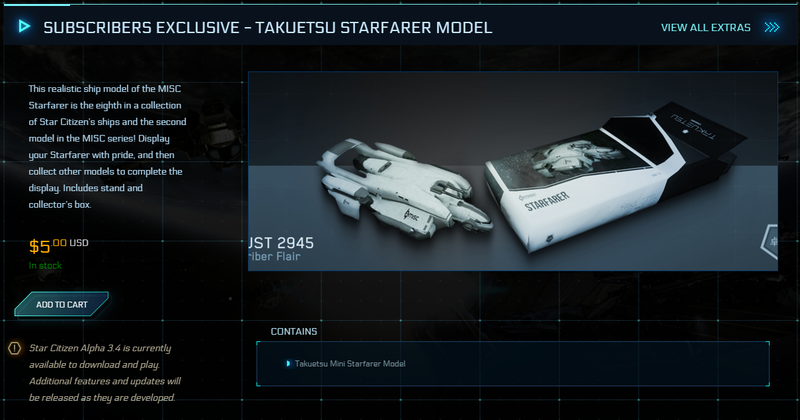 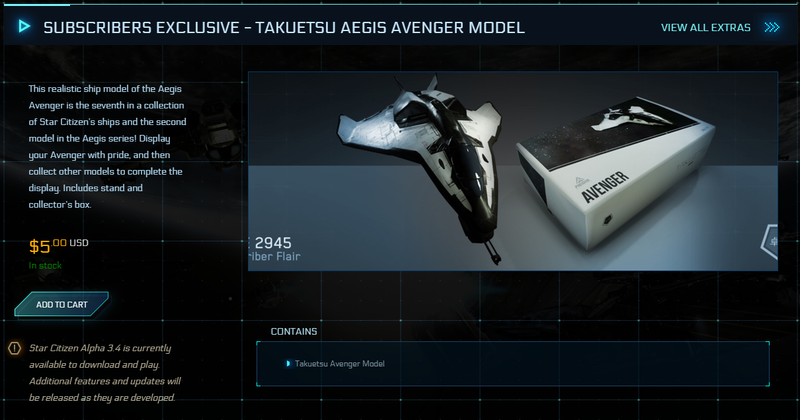 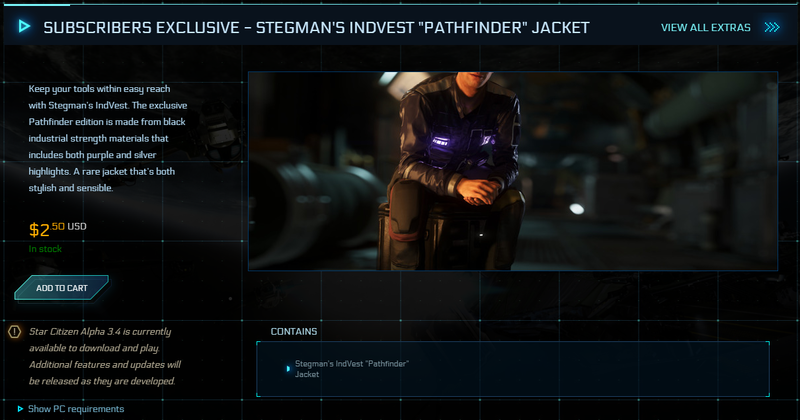 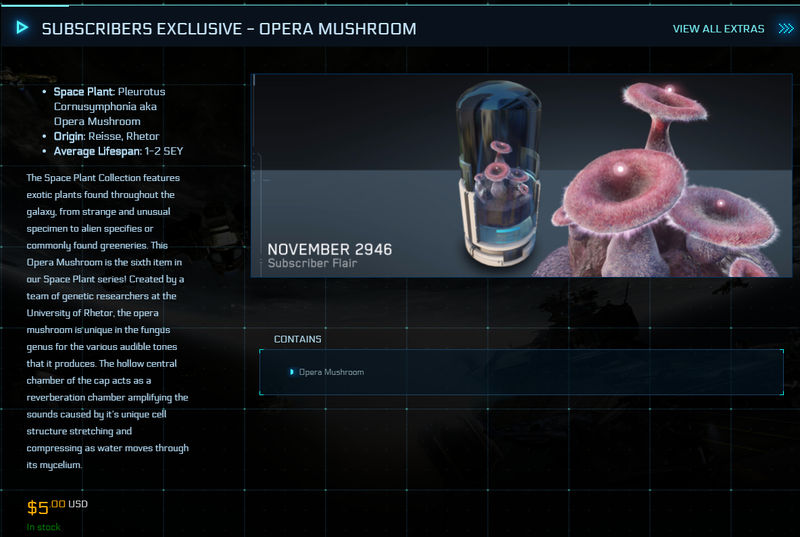 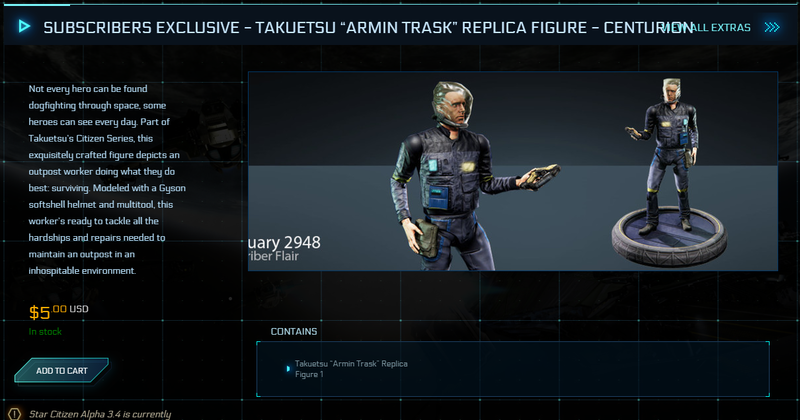 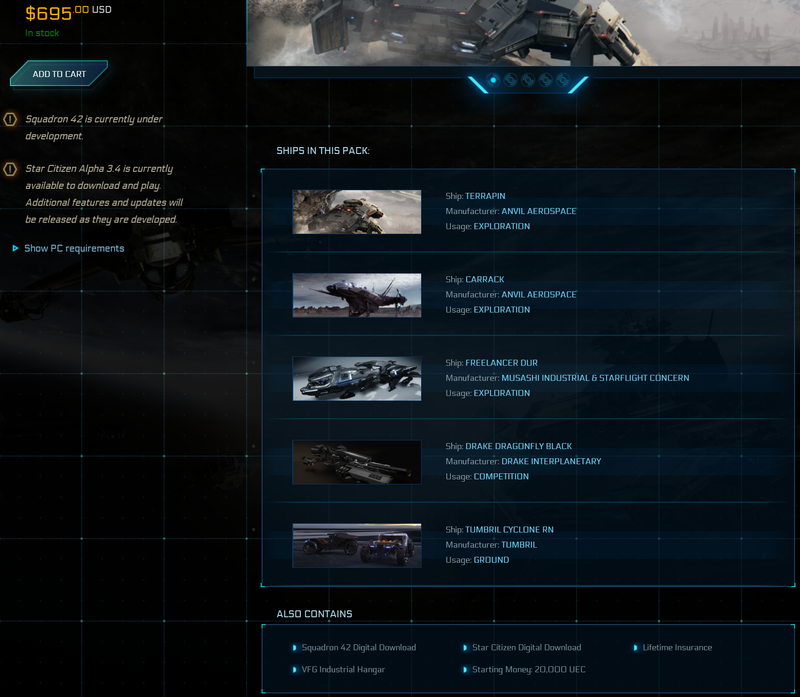 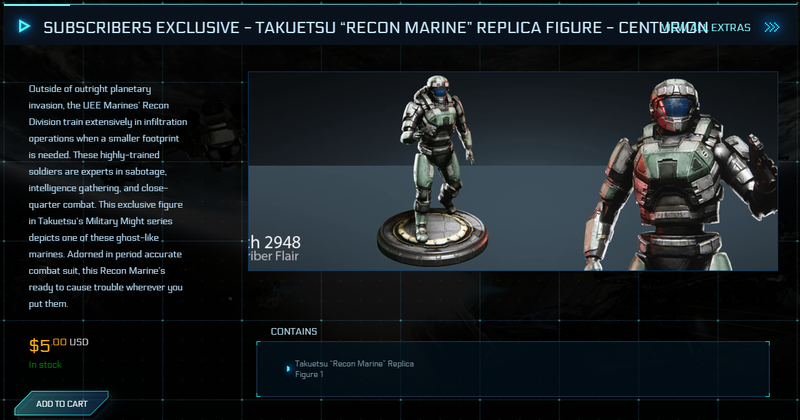 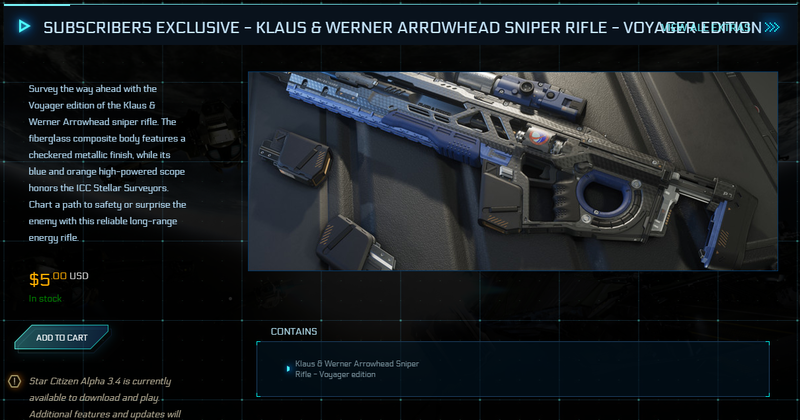 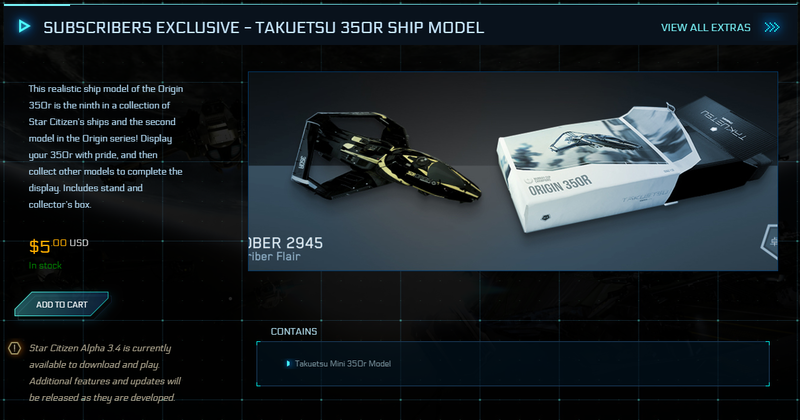 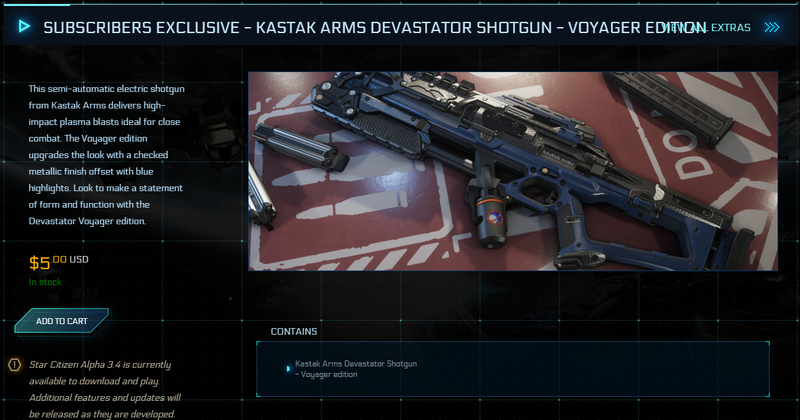 They were purchased directly from RSI during the initial original concept sale. 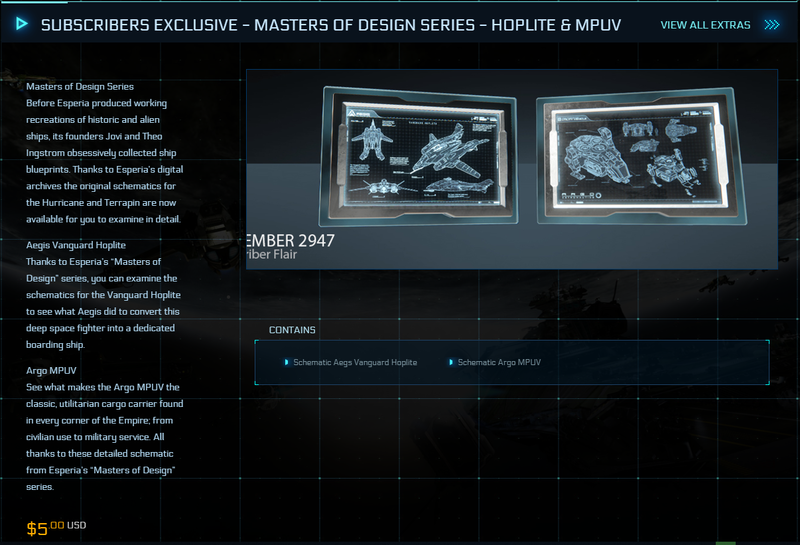 These ground vehicles were not upgraded from another ground vehicle. 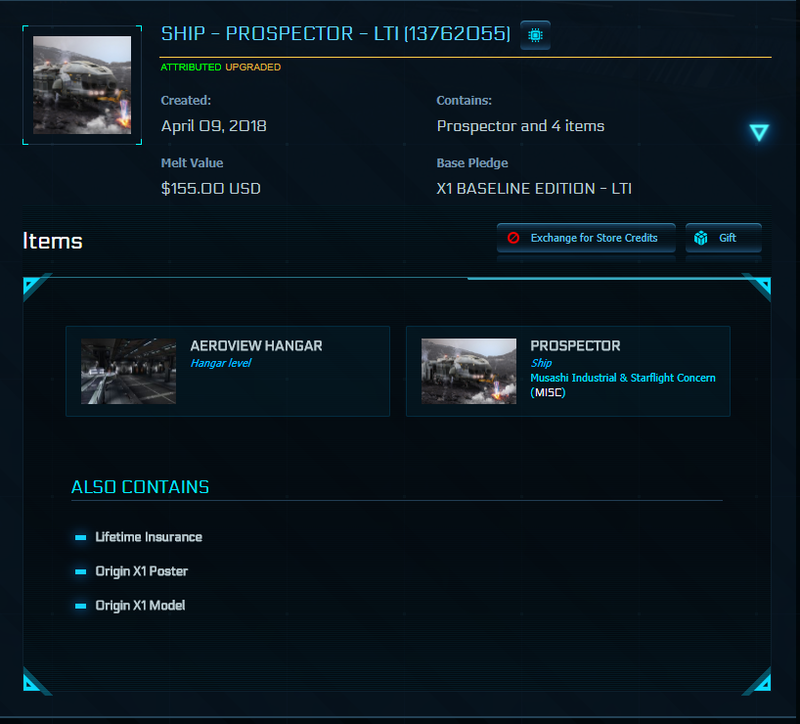 They were purchased during the original concept sale. These vehicles were not upgraded from another vehicle. They were purchased during an annual sale. 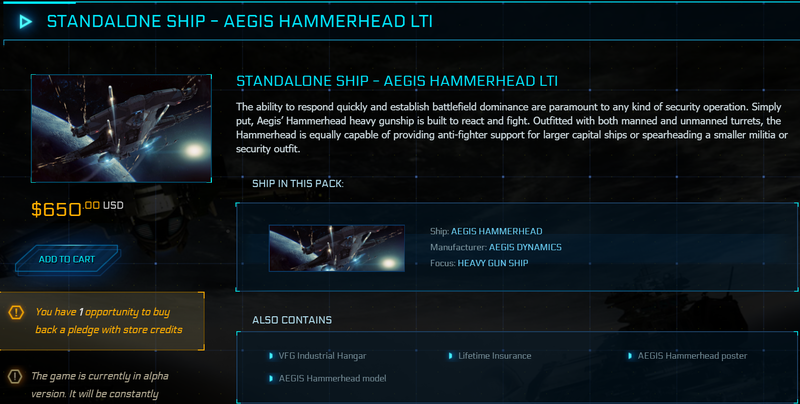 These ships were upgraded from another ship. Any Original Concept ship that I have in stock can be used as the base ship, message Goatchaps to work out a deal. 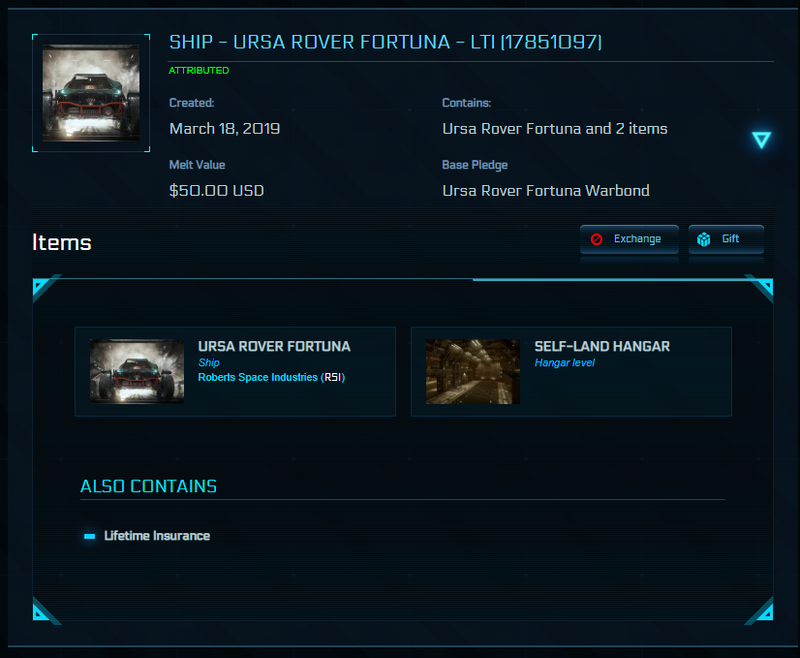 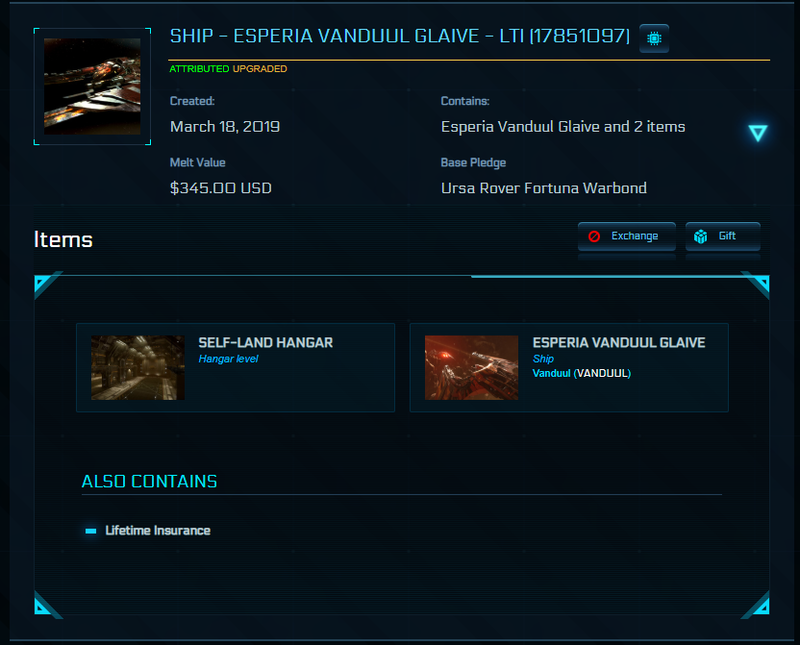 Ursa Rover Fortuna Warbond LTI original concepts are usually used for CCU'd ships. 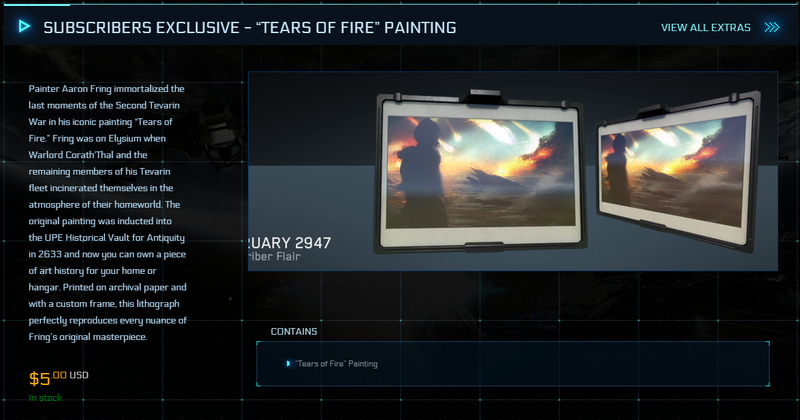 These are limited quantity sale items and are only available on a first come, first serve basis. 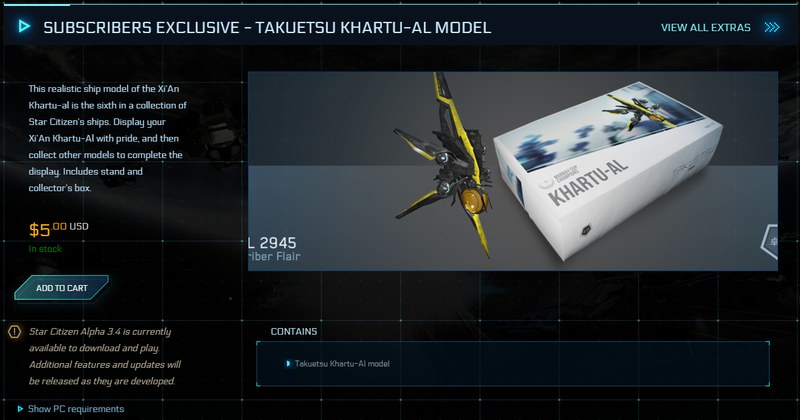 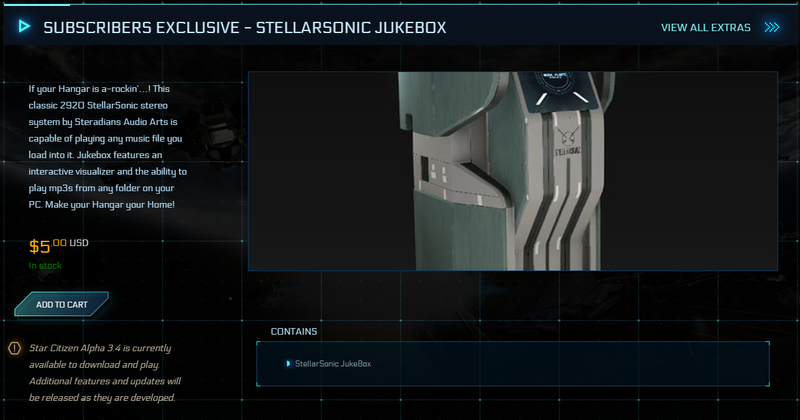 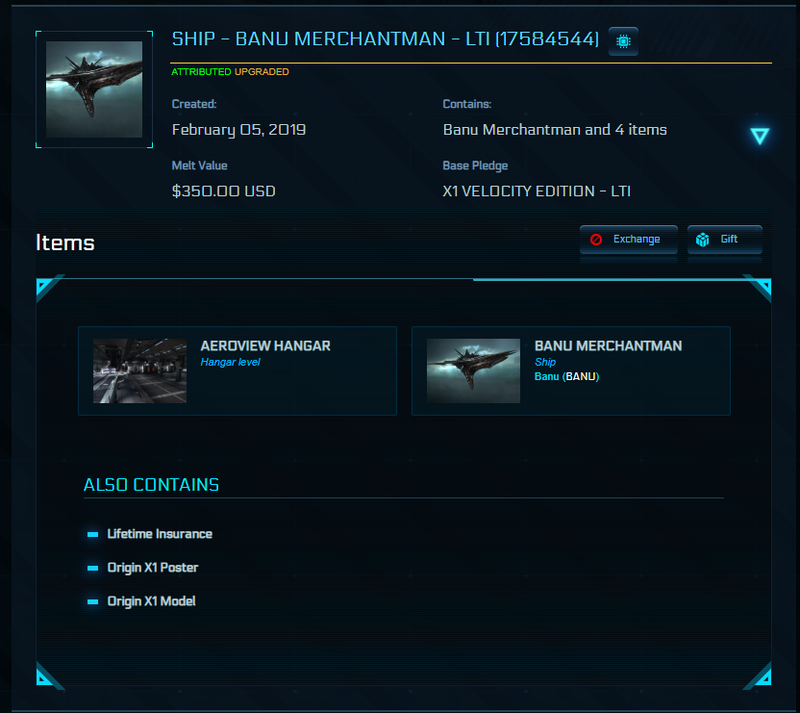 Today's CCU'd sale ships will be upgraded from an original concept Origin X1 Velocity LTI. 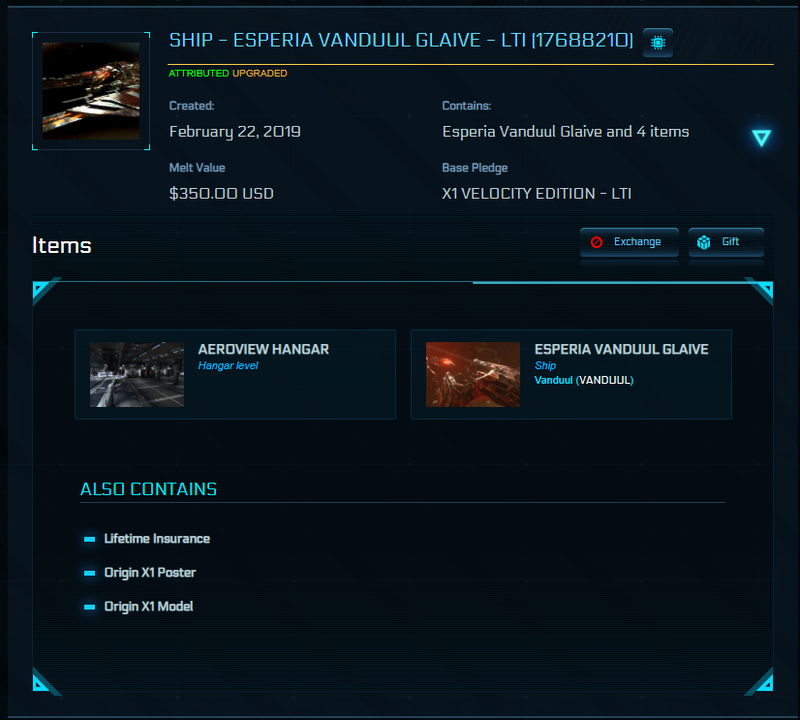 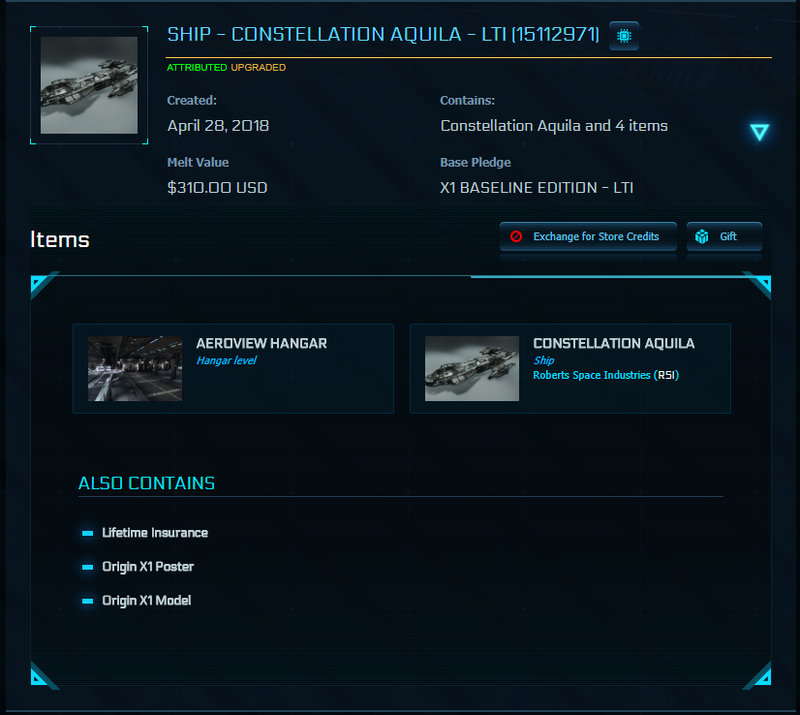 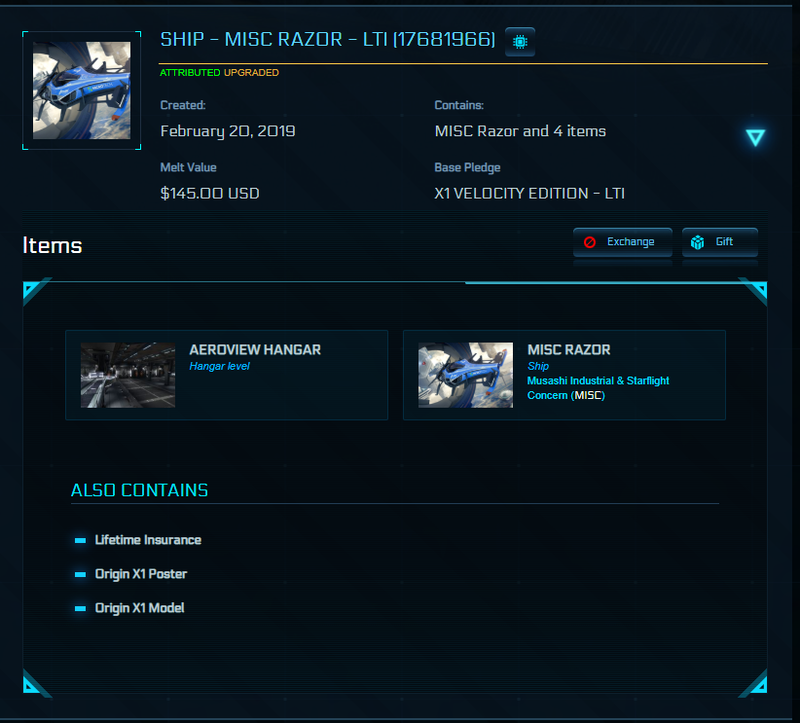 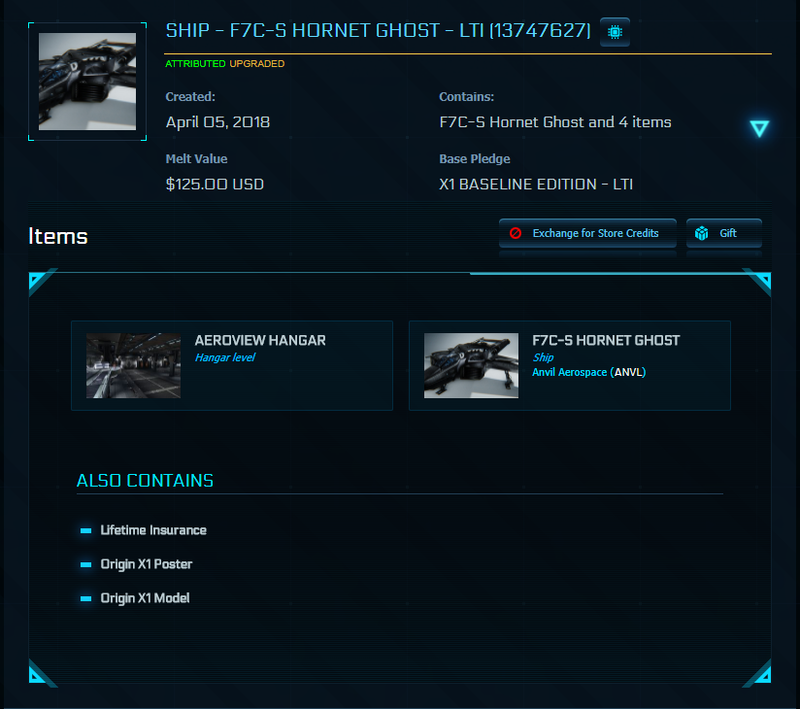 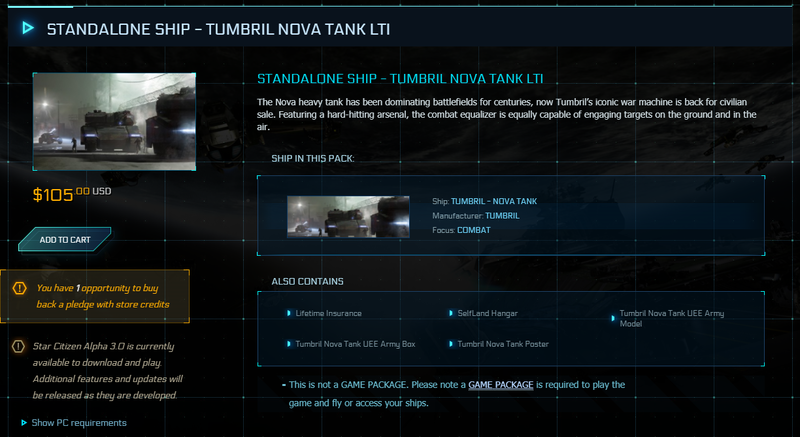 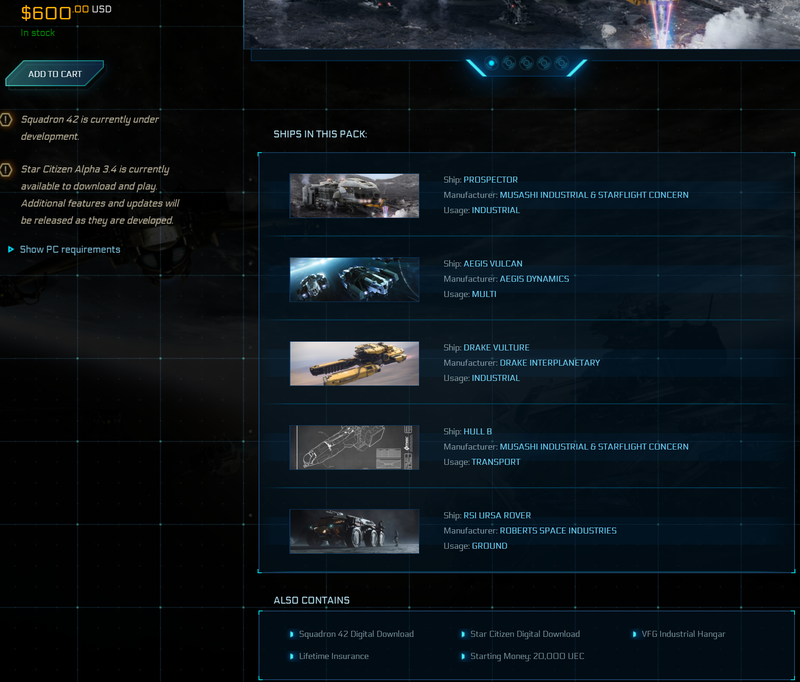 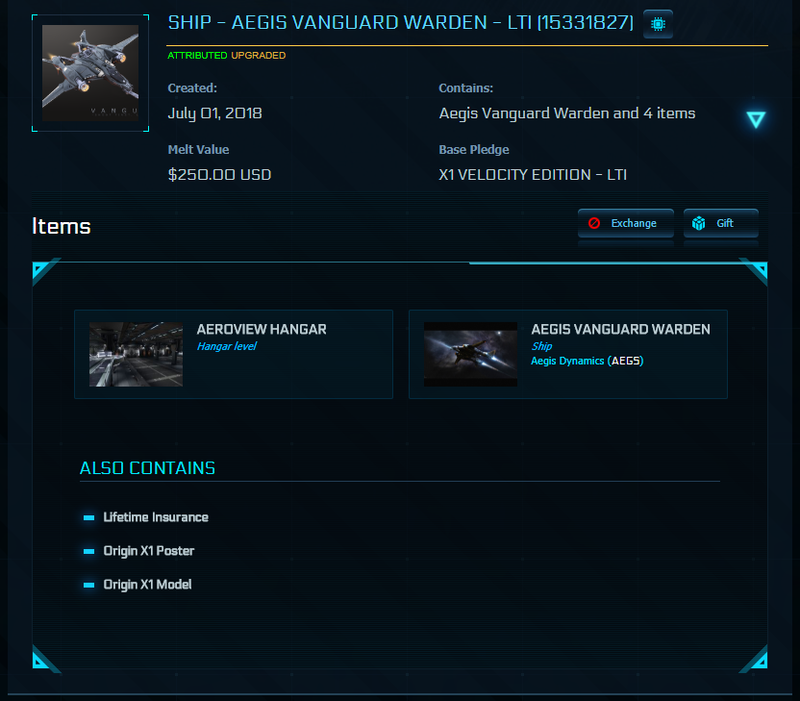 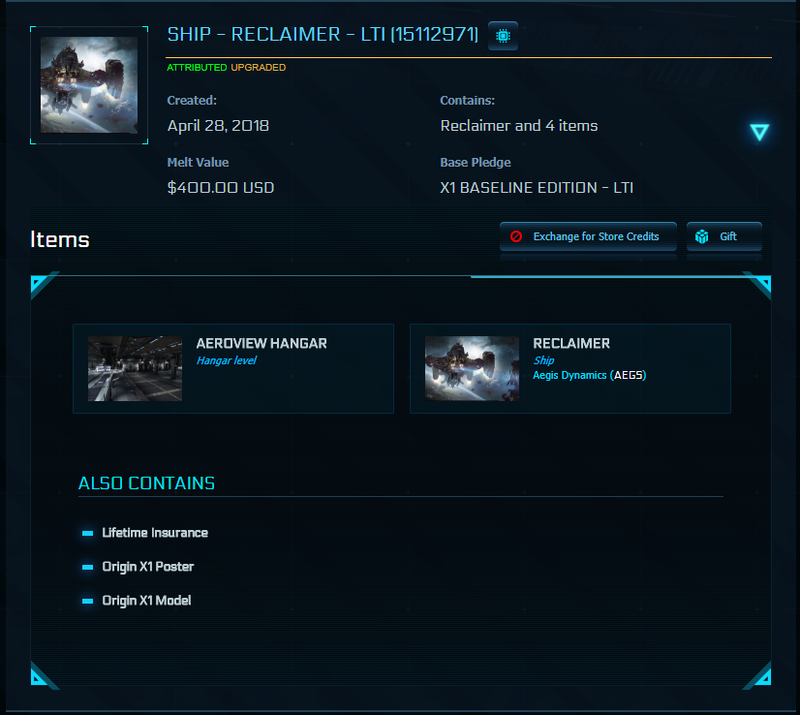 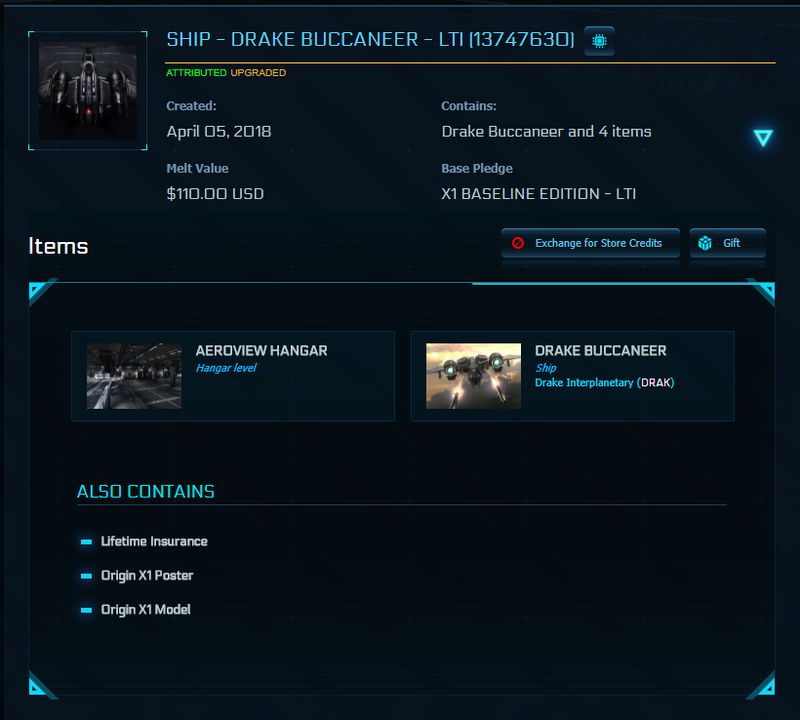 Purchase an original concept LTI Cyclone and I will apply a free upgrade to a Cyclone RN or Cyclone RC upon request (there will be no increase in melt value). 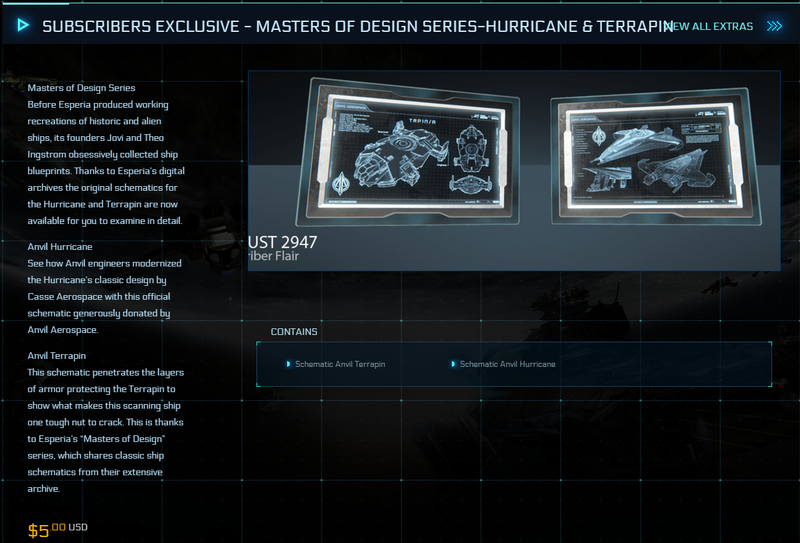 Save $5 on many CCU'd LTI ships for accepting $5 less melt value with an original concept Rover Fortuna LTI as the base ship. 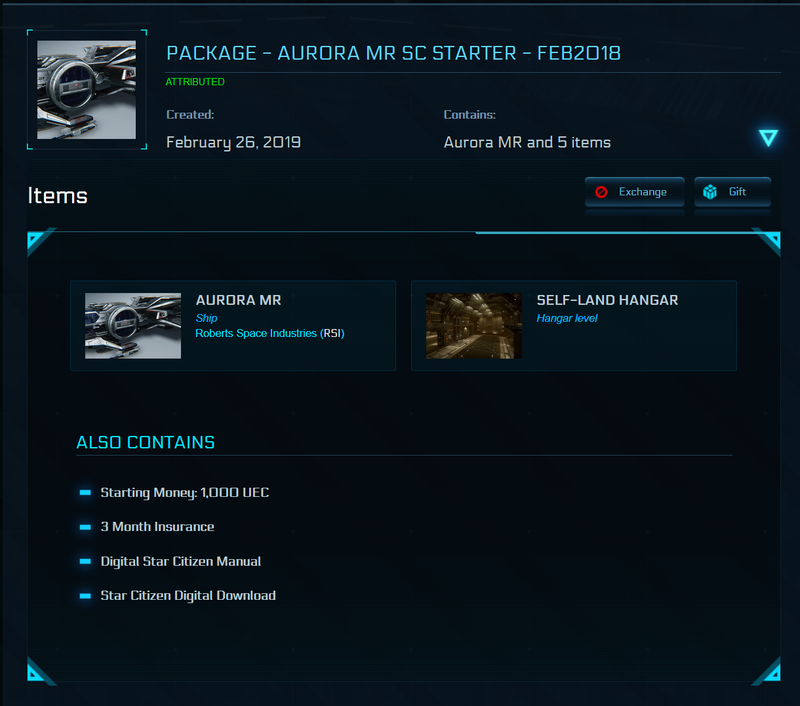 Some sale prices are also eligible for this discount. 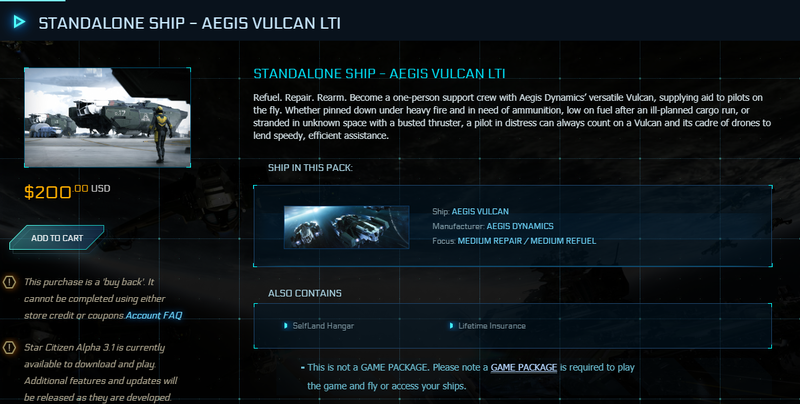 These are concierge packages. 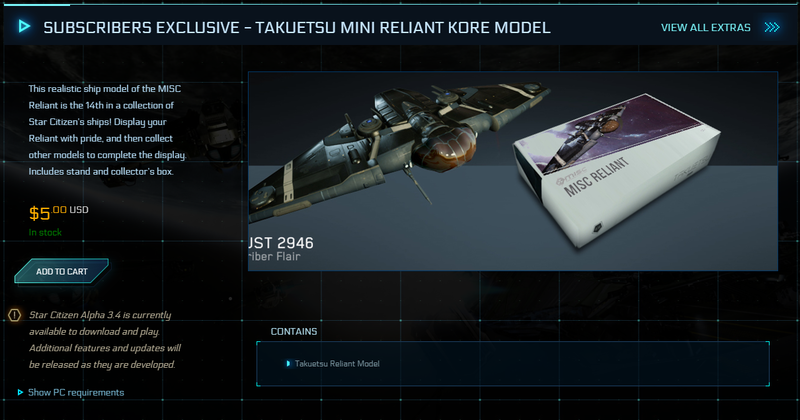 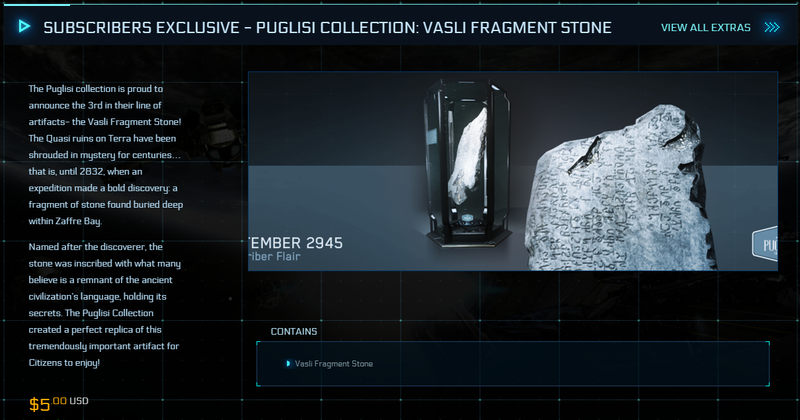 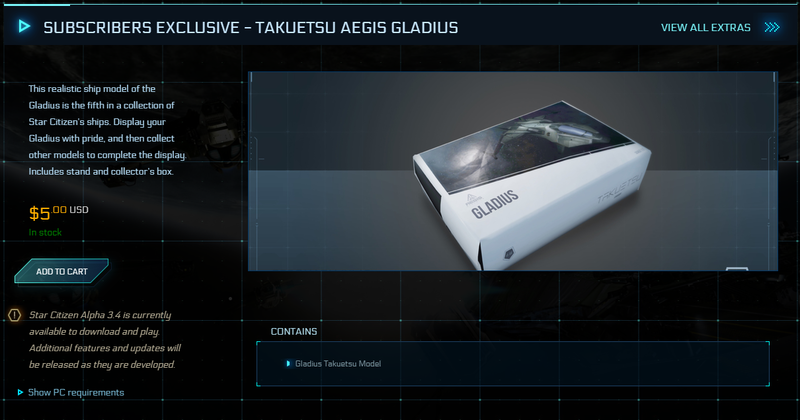 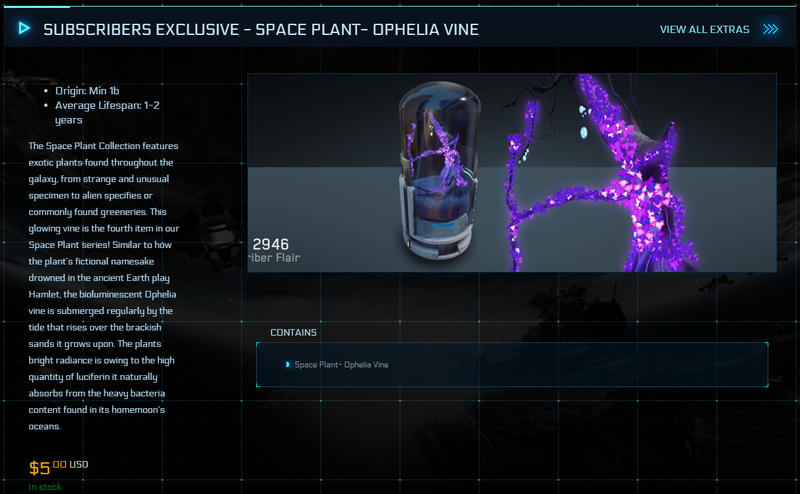 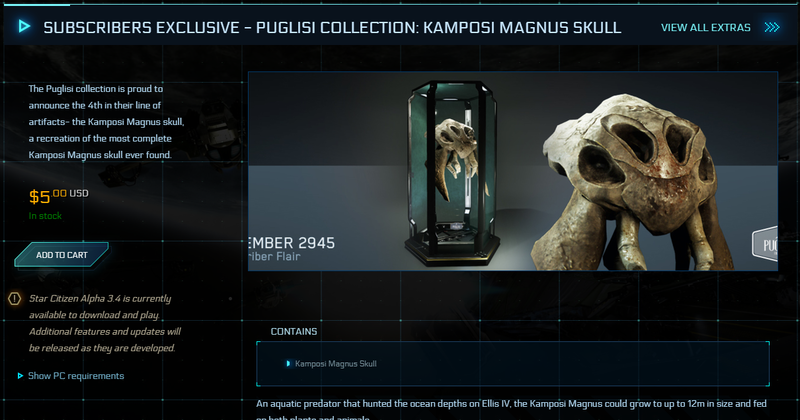 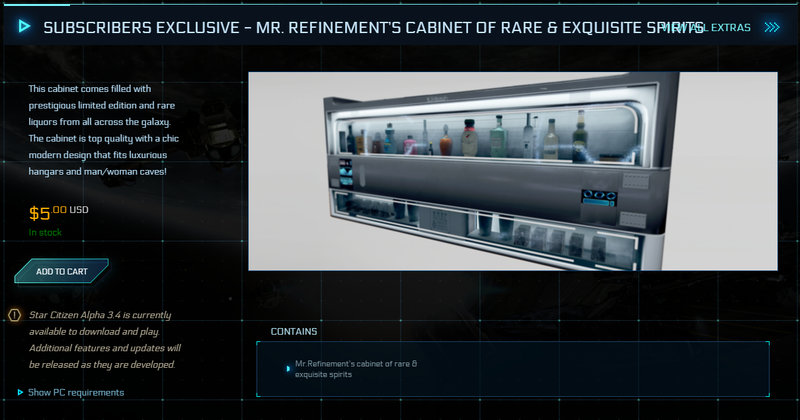 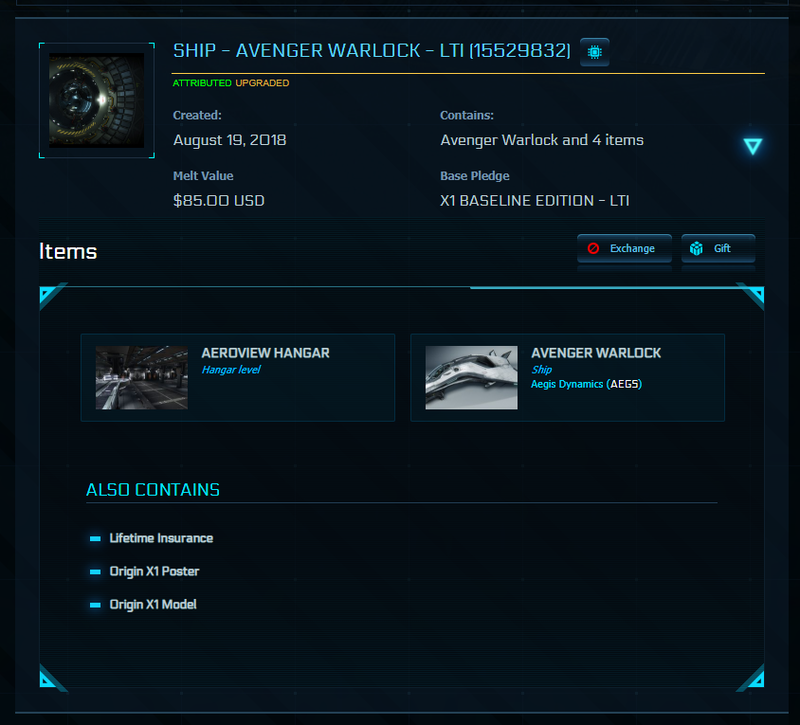 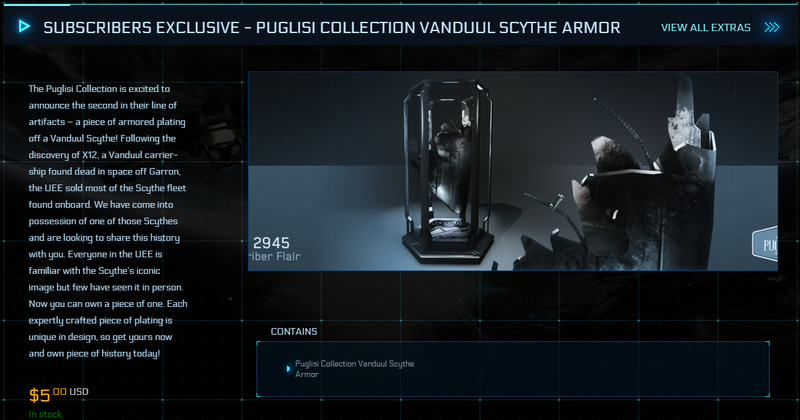 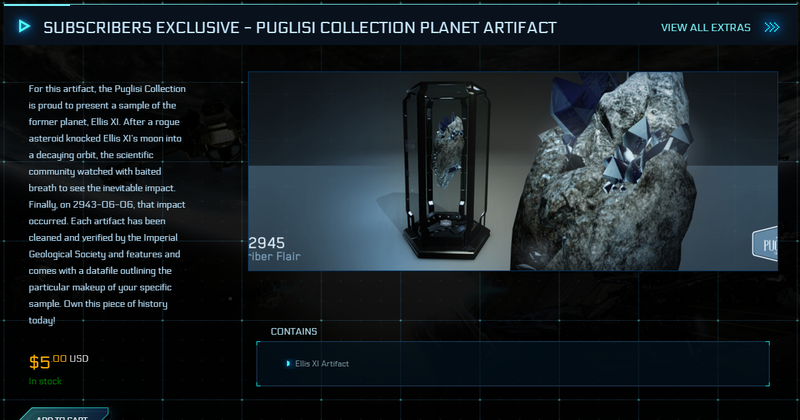 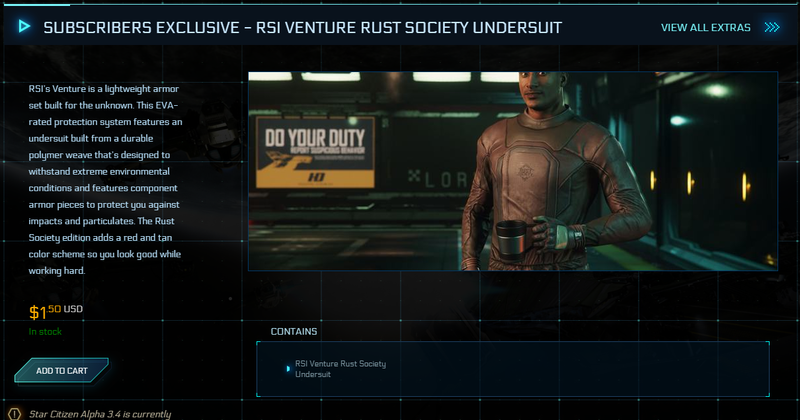 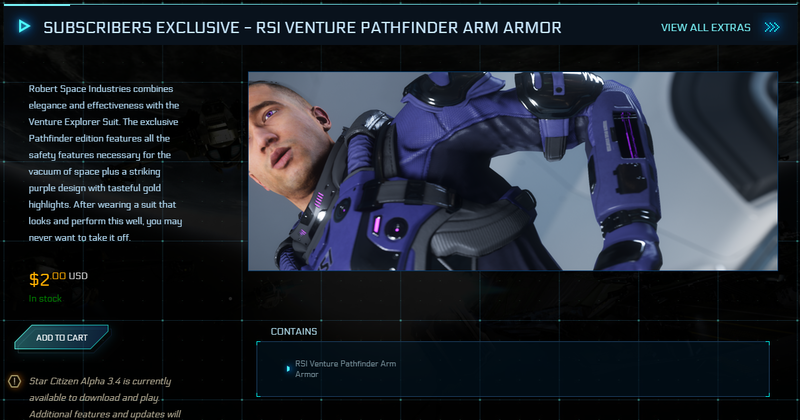 The item must be on sale in the RSI store at the time of purchase. 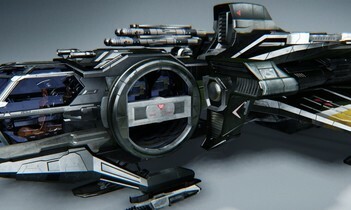 These ships were upgraded from another ship. Any Original Concept ship that I have in stock can be used as the base ship, message Goatchaps to work out a deal. 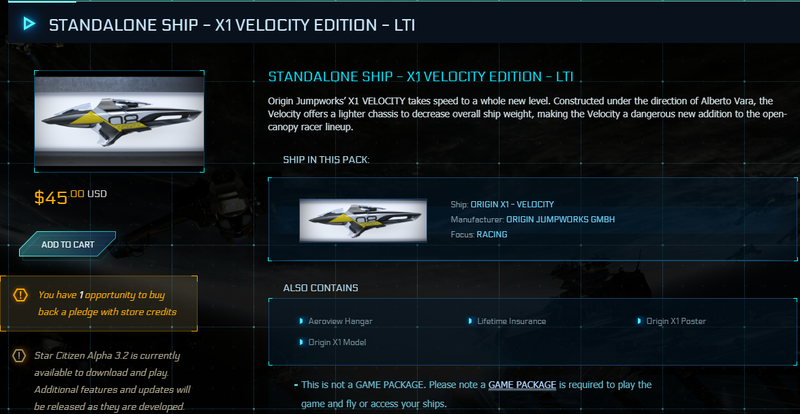 Origin X1 Velocity original concepts are usually used for CCU'd ships. 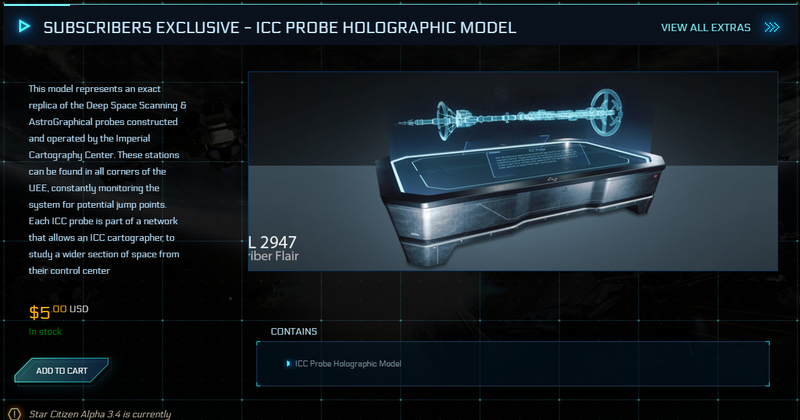 Almost all of the CCU'd ships I sell will have the current melt value. 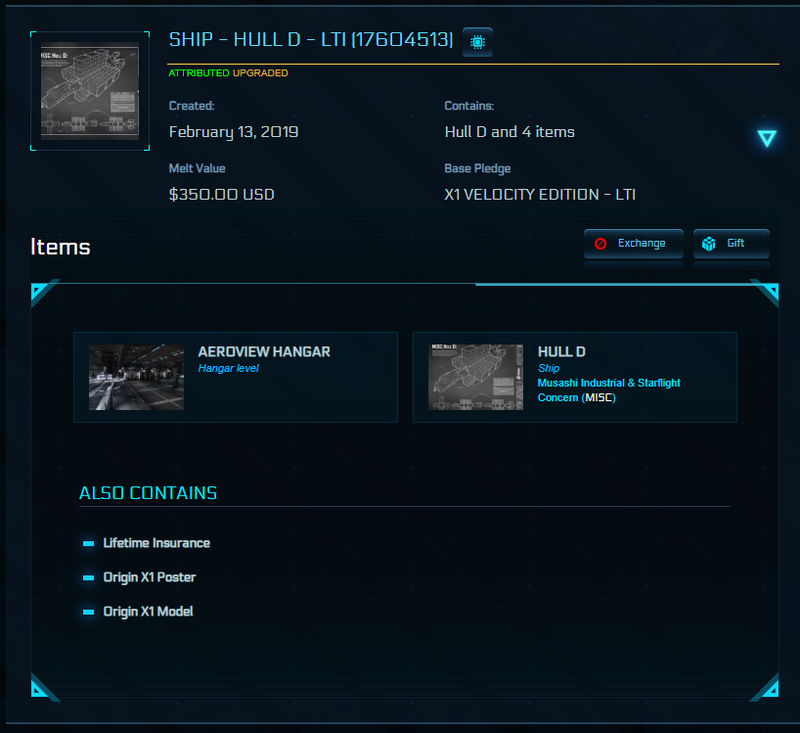 Compare the melt values to other stores to fully understand the quality of the ships I sell. 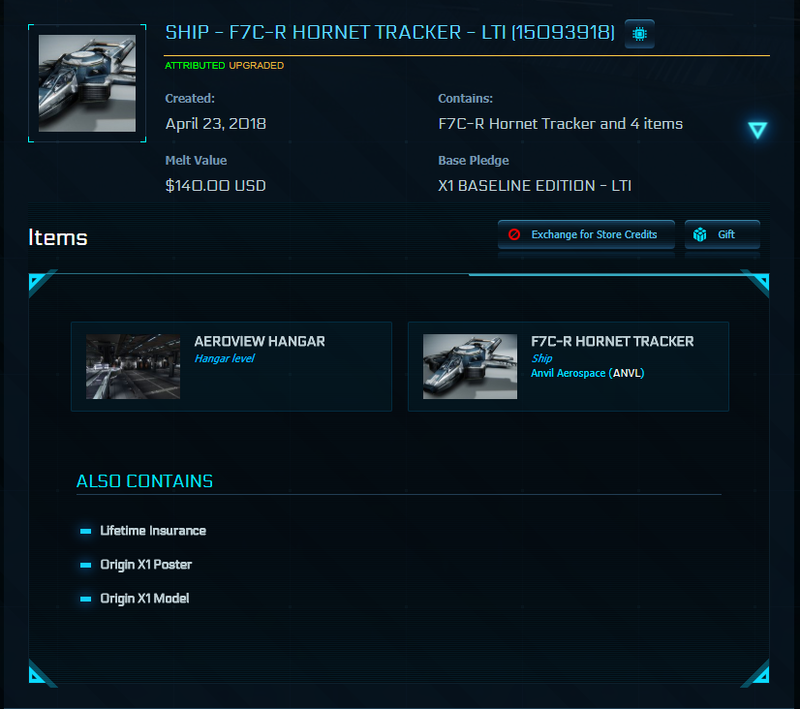 Limited Time Offer: Request a Rover Fortuna LTI as the base ship for most CCU'd LTI ships and save $5 on the purchase price. 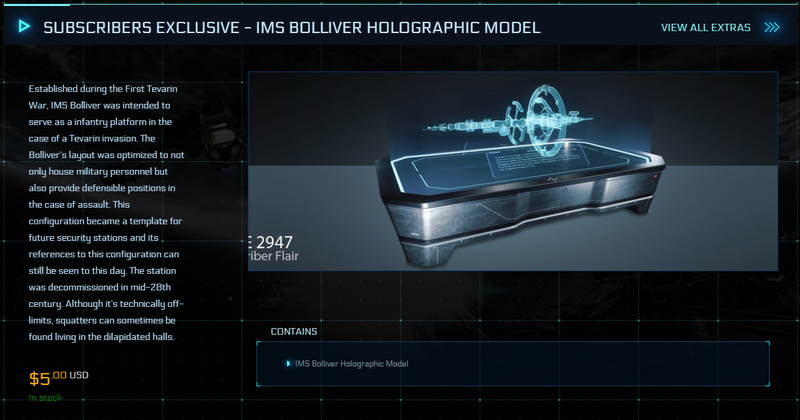 The melt value will also be $5 less. 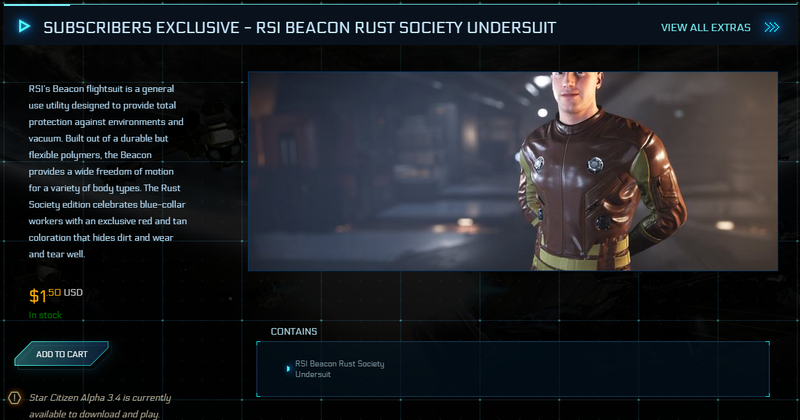 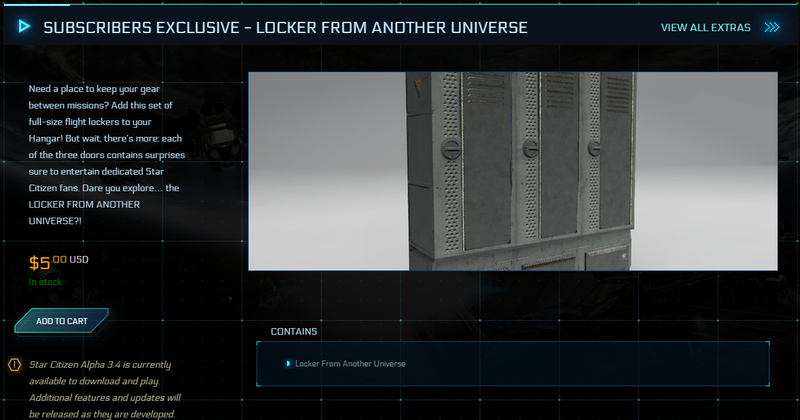 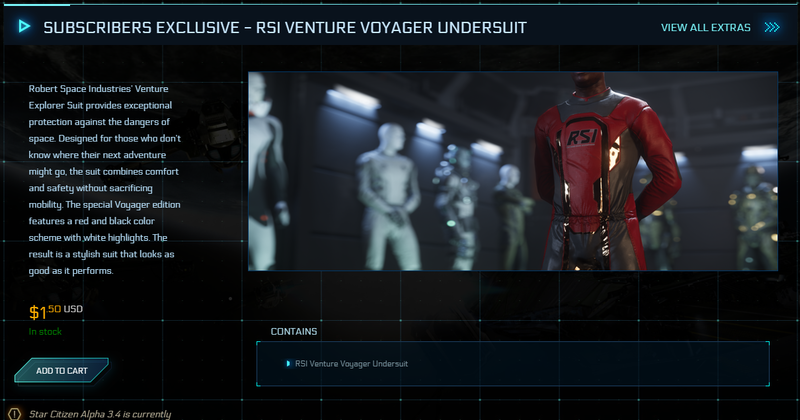 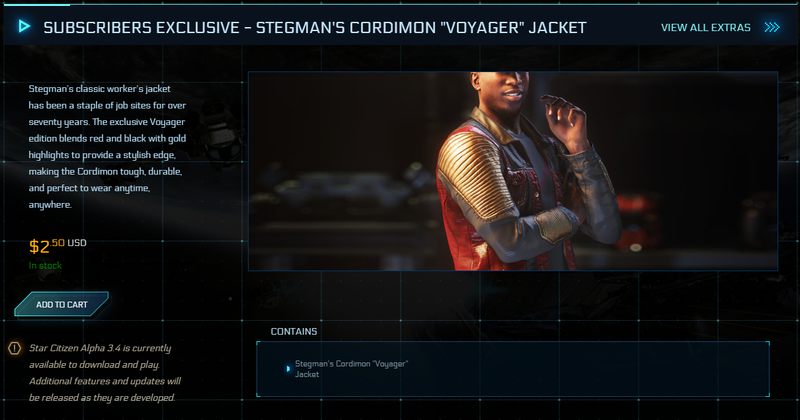 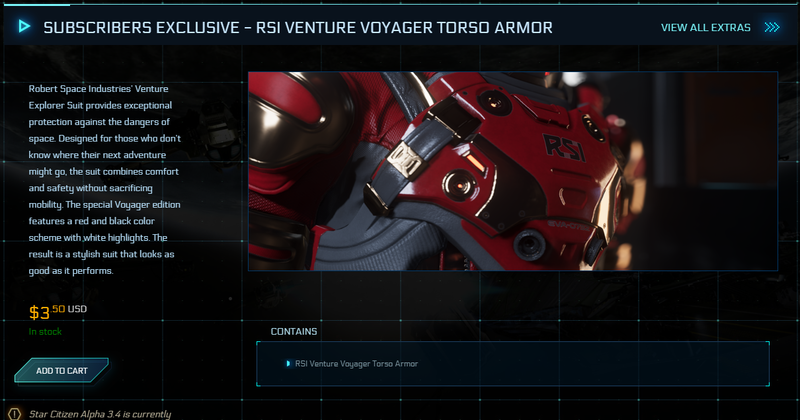 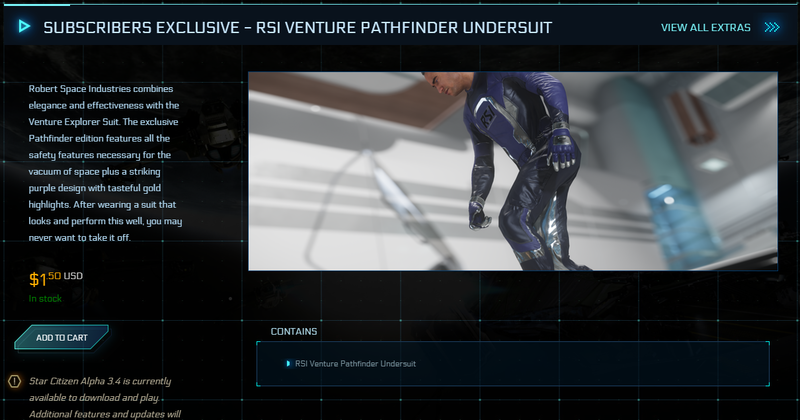 Clothing, undersuits, and body armor for use in the persistent verse. 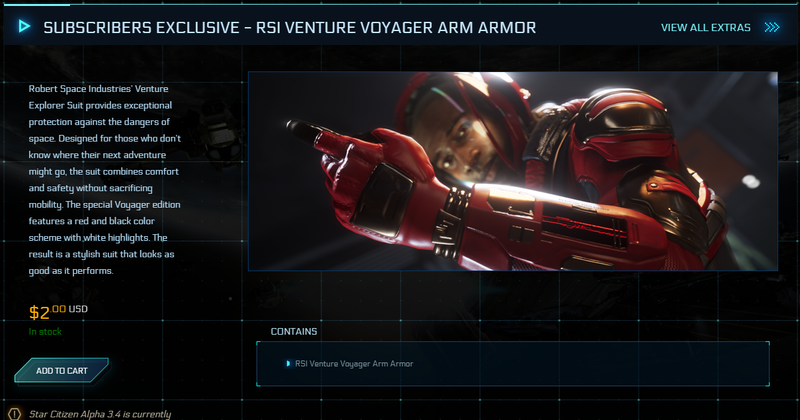 Small arms to begin each inventory reset in the persistent verse. 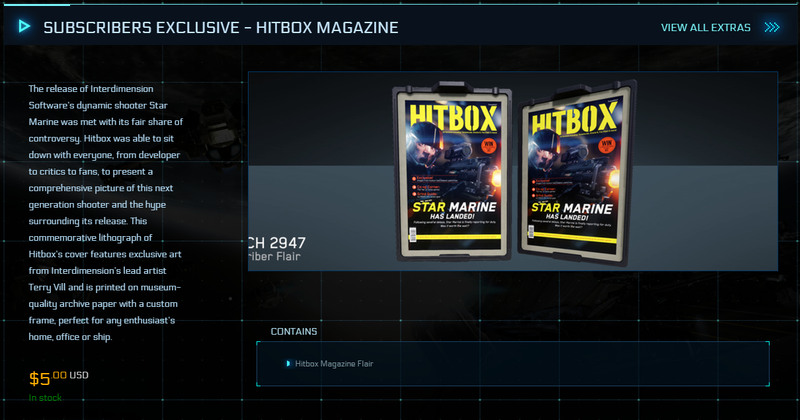 Flair that is used for display purposes within your hangar.